Many centuries ago, people from East Asia were gradually discovering useful properties of wood vinegar and investigating the use of reflex points on the feet at the same time. 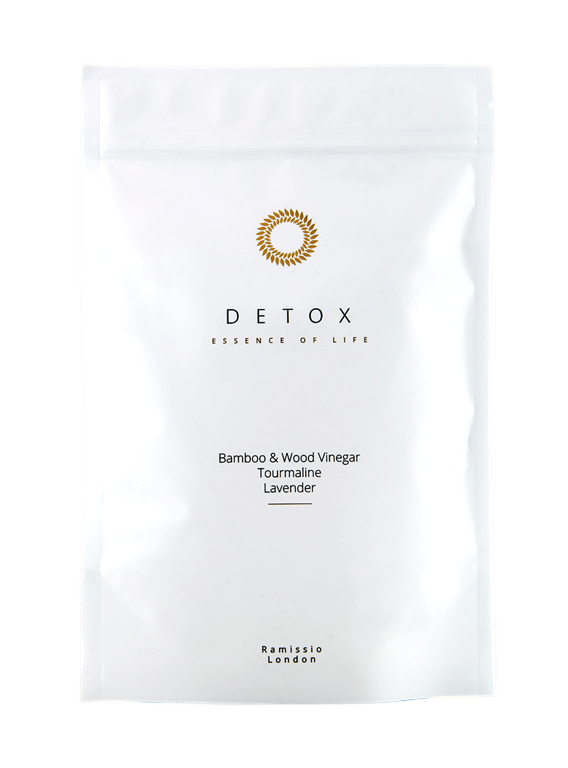 These observations were used by modern-dayscientists and thanks to the precise and sophisticated composition and osmosis prinicples, detox patches Ramissio can promote blood circulation through the skin, absorb detrimental substances from the body and relieve the fatigued body and soul. The human foot has a total of 60 acupuncture points, each of which is connected with a specific function of our body. Therefore, we recommend that you place the patches on the feet. In specific cases, it helps to stick the patch directly on a problematic place - back, knee, neck, etc. Patches work best at night, when the body is at rest. After removing the patch, wash the affected area well. Be prepared that the patch will be dark to black and smelly - it is a result of the absorption of your body fluids, which now contain eliminated toxins. Bamboo vinegar (156 mg), wood vinegar (156 mg), vitamin C (45 mg), Houttuynia Cordata Thunb (33,8 mg), Loquat leaf (30 mg), chitin (22,6 mg), Lavender extract (26,3 mg), dextrin (22,6 mg), tourmaline (7,5 mg).